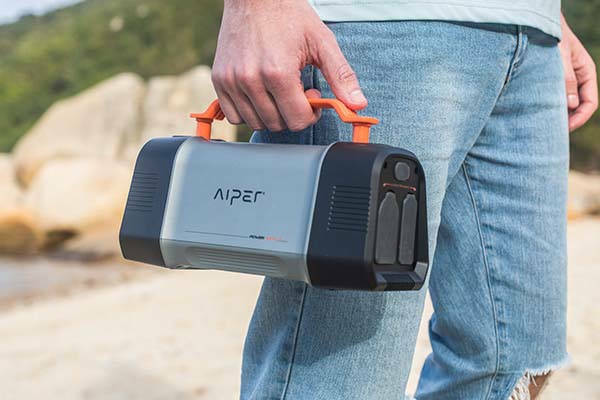 Aiper Flash is a well-made and powerful mobile power station that measures 10 x 4.3 x 5.3 inches and weighs 3.9 lbs. As we can see from the images, the trapezoid-style form factor delivers a sleek modern appearance design, and with the lightweight, compact design and integrated handle, you can easily carry it for any outdoor activity. Meanwhile, the rugged case meets IPX4 water restart standards, which means it withstands splashing water, no matter the direction. 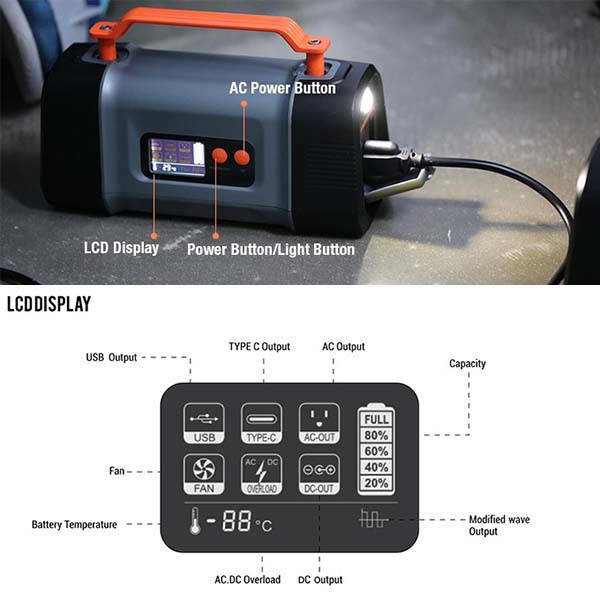 The 150W portable power station comes equipped with 46750mAh battery pack with over 500 charge cycles. Furthermore, it has two USB-A ports, one USB-C port with Power Delivery 2.0, one USB-A port with Quick Charge 3.0 to efficiently charge your mobile devices. Moreover, an integrated AC outlet and DC output allow it to power more devices. And it can be recharged using three ways including wall outlet, car-mounted charger or a solar panel. In addition, an integrated LED light provides emergent illumination wherever you’re, and an LCD display shows you the status of each port and the battery level. Its auto-sleep mode helps it save power when it’s connected but doesn’t detect any workflow, while its integrated short circuit protection prevents it from overcurrent, over temperatures and short circuits. The team behind Aiper Flash is raising fund for the product on Kickstarter. We can pledge $109 to preorder the 150W portable power station. It will be shipped in June 2019.